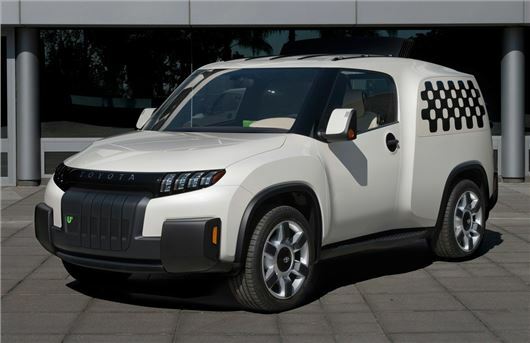 Just days after Irish arena rock specialists U2 dropped a surprise album on iTunes for free, Toyota has unveiled a surprise concept car called, to be sure, U2. 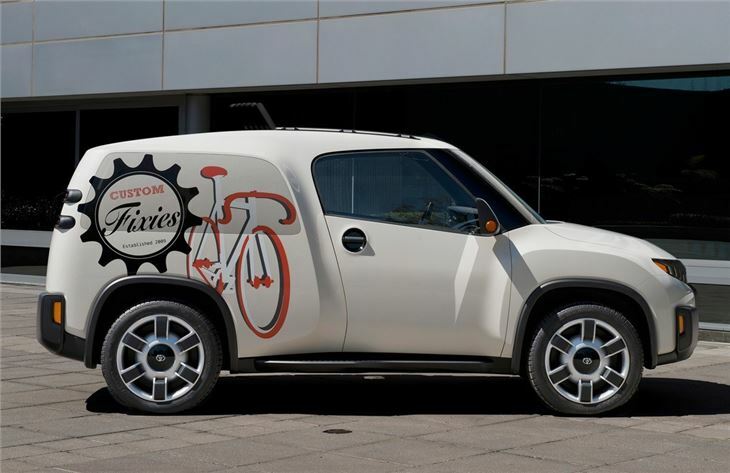 The Toyota U2 is, claims the Japanese company, "inspired by America’s new urban DIY movement," which is to say it’s a van-based MPV featuring all kinds of flexibility and practicality flourishes. 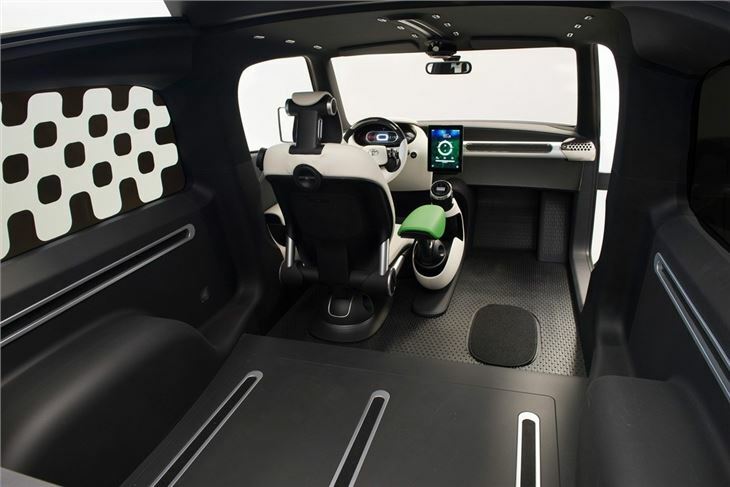 Fold the rear seats and remove the passenger seat, for example, and there’s enough room for a Joshua Tree in the compact concept. 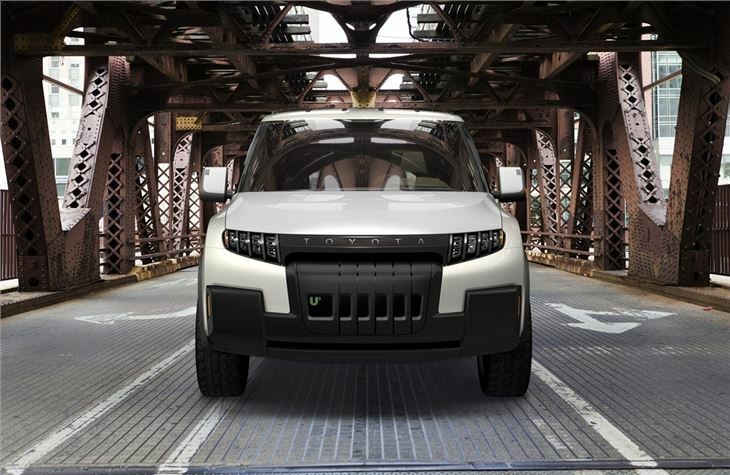 The drop-down tailgate forms a loading ramp, giving it an Elevation that makes loading easier, and The Edge of which is replaceable should it get damaged. The rear glass can also Pop down into the tailgate. Other features include a retractable utility bar that can be used to hang shopping from, so it won’t Rattle and Hum, while the side windows flip upwards. And because there’s no substitute for outright space, Toyota claims the interior capacity of a cargo van, but inside the wheelbase of a compact car. 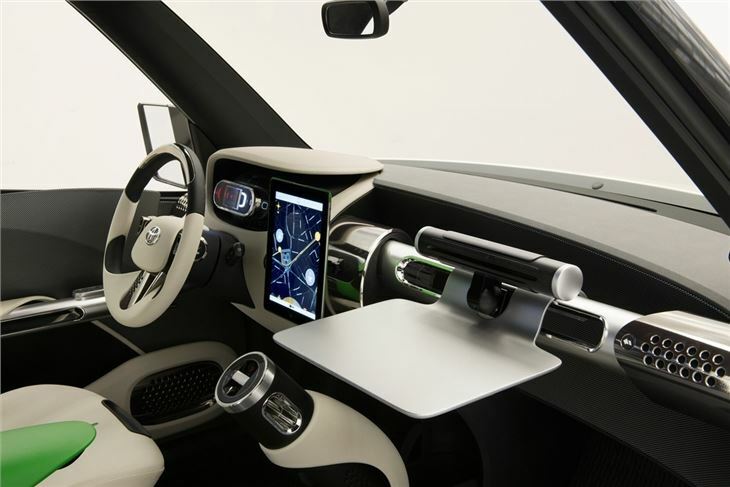 But all of that is very van-like and quite bland, ultimately, so In The Name Of Love Toyota has made the driving area very futuristic and pleasant indeed. There’s an iPad dock, of course, and the minimalistic cockpit features a unique transmission selector with switches for park, drive and reverse. The large digital display and chrome detailing give the cabin a futuristic Discothéque vibe, though in our opinion The Sweetest Thing is the ability to customise the side panels. The Toyota U2 will be unveiled officially at the World Maker Faire in New York, 20 September. No plans for sale at the moment – it’s more likely that only One will be made.